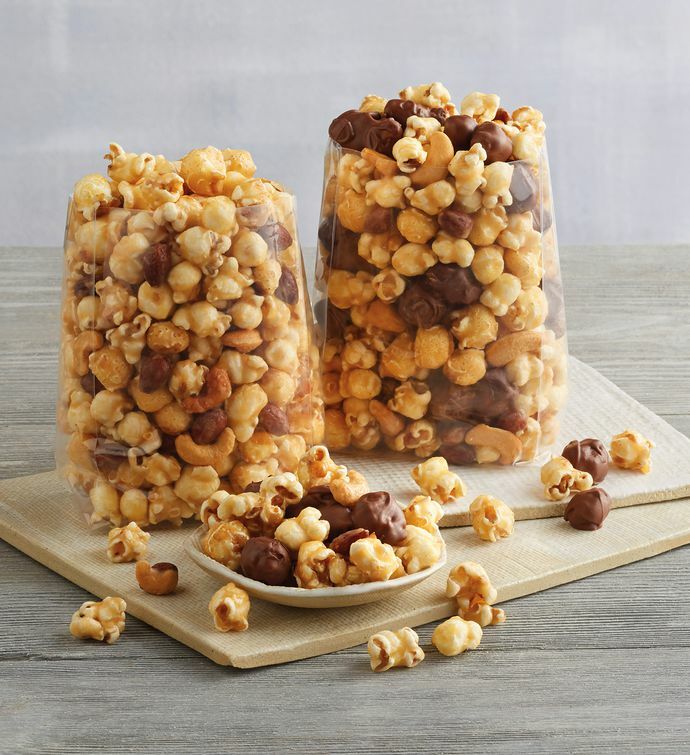 Chocolate and Caramel flavors of Moose Munch® Premium Popcorn are a heavenly match made in the Harry & David® candy kitchen. With one each of our Milk Chocolate and Classic Caramel flavors, you can satisfy your sweet tooth cravings with the best of both worlds in one delicious, handcrafted snack. Enjoy at home or on the go, with your friends or on the trail. Moose Munch® Premium Popcorn is the go-anywhere, eat-anytime snack that brings a little taste of the Pacific Northwest wherever your path takes you.